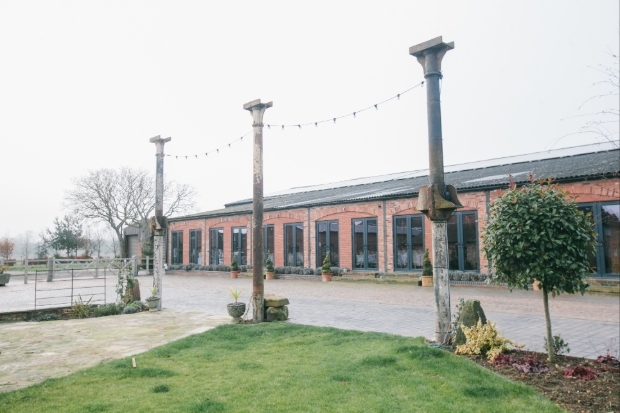 Rebecca and Kevin shared their festive-themed nuptials with loved ones at Norton Fields. The next was just as good and it was a couple of years later during a romantic weekend away that Kevin surprised Rebecca. 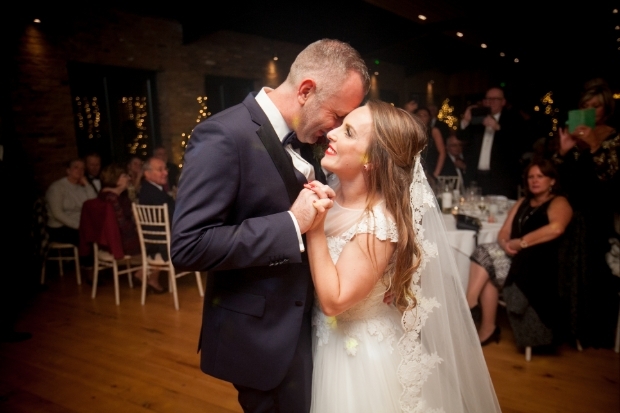 “We went to York for the August bank holiday weekend to celebrate being together for two years when he proposed. He'd been hinting throughout the day by asking me what kind of engagement ring I'd want. 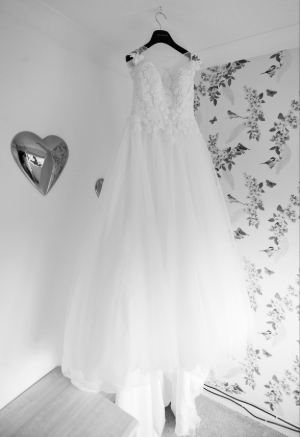 He also told me if I didn't moan about my shoes hurting me, which I had done all day, he'd propose!” she says. 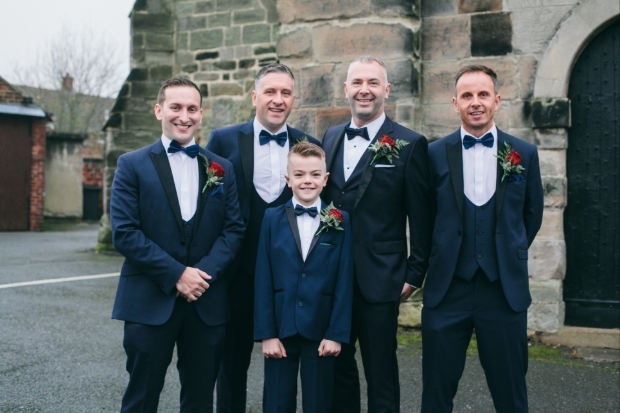 Kev wore a navy and black tuxedo by Hugo Boss. We had a blacktie dress code so I wanted to make sure the tuxes were slightly different from the typical black style. I chose the first dress that I saw. I was having a baby in the May before the wedding so I didn't want something too figure-hugging. The veil was also impor tant to me; I wanted it to be longer than my train. 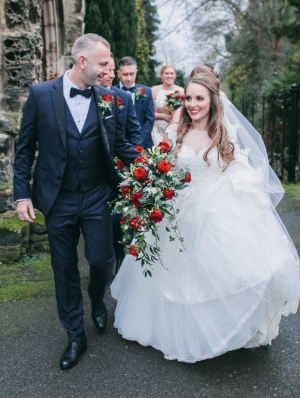 For my make-up I went for a more glamorous look with red lips and false eyelashes, and I knew I wanted my hair down – Kev had instructed me not to have pot noodle wedding hair! 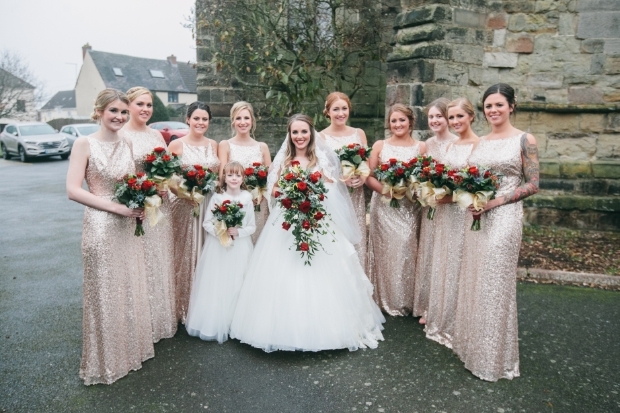 Our bridesmaids tried on a few different styles but as soon as they tried on the rose gold sequin design they all loved it. My niece, Jessica, wore a dress with matching sequins around the waist. Our little boy, Walter was pageboy. He was only sixmonths- old at the time and he looked so cute in his suit. 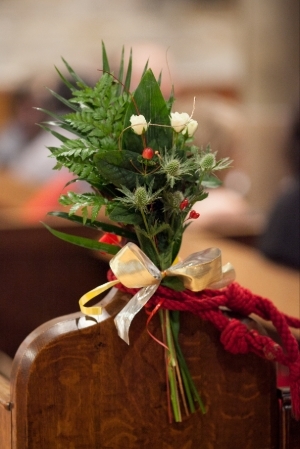 We used similar flowers on the pew ends in church, at the alter and scattered around the venue. 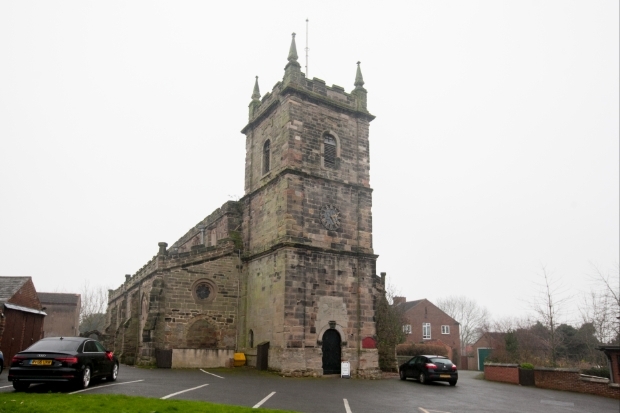 My grandparents and parents got married at St Laurence Church and I was christened there. It was also in the village where I grew up so it felt really special. 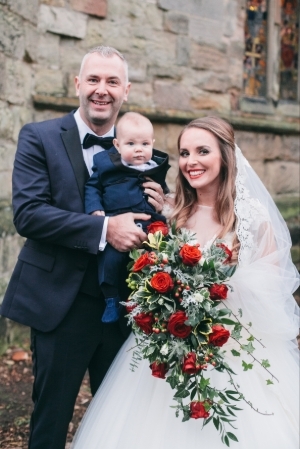 Our bouquets were created with red roses with eucalyptus, thistle and berries. They were in season and complemented our theme. 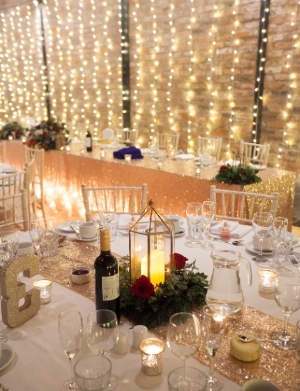 The fairylight wall looked gorgeous alongside the sequin table runners, hurricane lanterns and candles. Norton Fields was amazing. 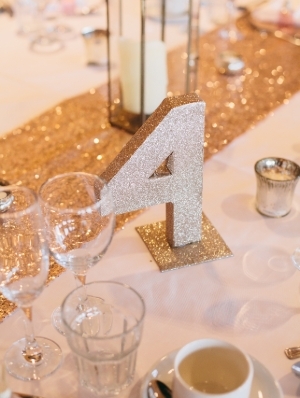 We loved that we could decorate the venue ourselves and choose exactly how we wanted to style it. The views were beautiful. 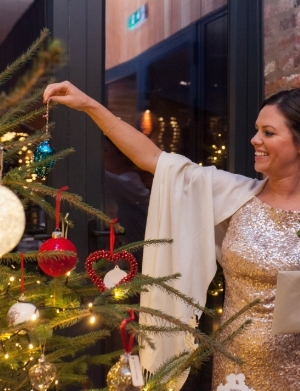 We invited guests to bring a decoration for the real Christmas trees for us to keep as a memento after the day. They look gorgeous with all the fair ylights. For our centrepieces we used brass lanterns filled with ar tificial flickering candles and around the base we had a wreath with real flowers. 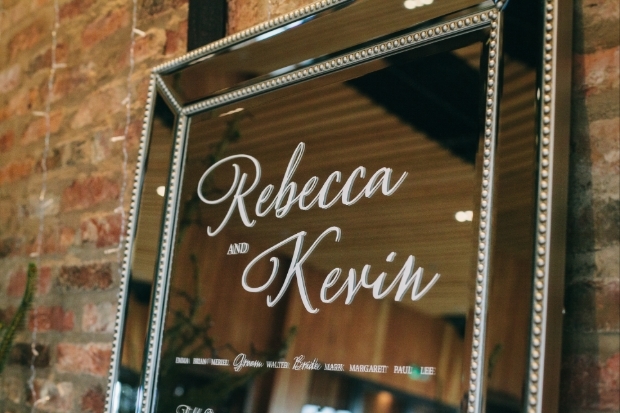 Our mirror table plan with the candles was a really special addition to our décor as our stylist sourced the mirror especially for our day. 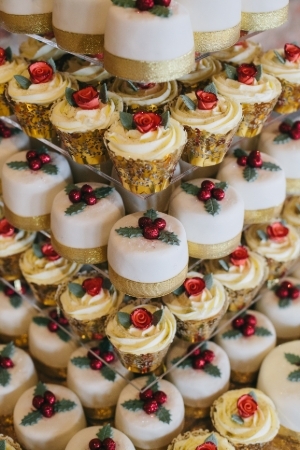 We had miniature Christmas cakes and cupcakes that were decorated with edible red roses, holly and berries. It was just beautiful. 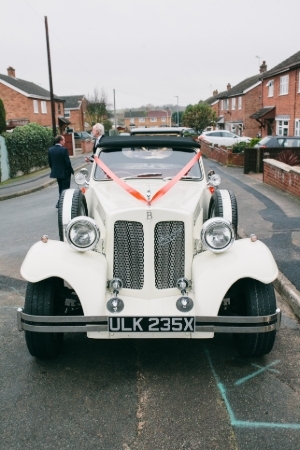 I travelled with my dad to church in a 1930's-Style Beauford. The journey wasn't too long so we didn' t get nervous, I was just excited to get there. The band was excellent, we could have listened to them all night and the DJ worked really well alongside them.